The first desktop in Antecs award winning Solution Series of enclosures has arrived. 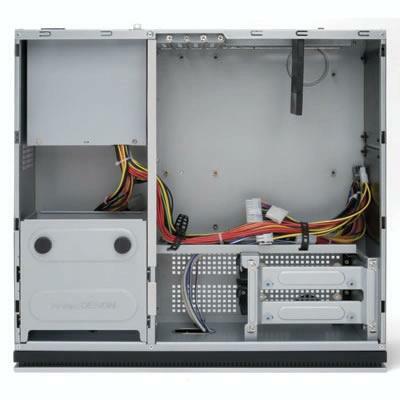 The NSK2480 Desktop case features a unique triple-chamber structure, designed to isolate the heat and noise produced by the power supply and hard drives, ensuring a quiete computing environment. Along with its exceptional ventilation and attractively understated styling, the NSK2480 also includes an 80 PLUS Certified EarthWatts 380 Watt ATX12Vv2.2 power supply with universal input and Active PFC, so you can place its beauty anywhere you want.